I consider myself a pretty good chef. I love to experiment in the kitchen, but unfortunately, I’ve never really had a “signature” dish. Well, ladies and gents, that time has passed. I now have an easy, yet powerful, side dish that will bring life to any dull meal. May I present my French fries. Despite its side dish status, yes, this counts as a signature dish. Who doesn’t like fries? Are you human? If you are, you should like fries. It’s a side dish that just about goes with any meal. Well, maybe it’s just me. I can eat fries with every meal. Sometimes it IS my meal. I want fries in my life as much as possible. 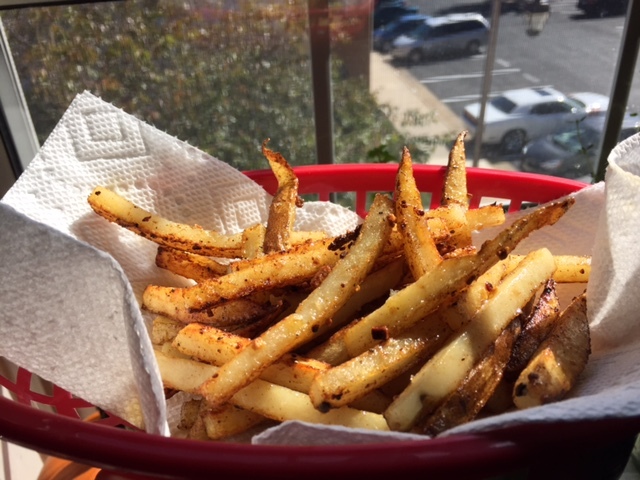 My French fry recipe is nothing revolutionary, only delicious. First, you cut an uncooked potato (if you want to make my signature dish, I’d encourage you to invest in a French fry cutter -place the potato in the machine, use your muscle to squeeze the potato through and bam, out comes your potato in the shape of French fries.) Place the cut potato and olive oil in the skillet on medium heat and add the seasoning. I won’t give you my magic recipe in its entirety, but i’ll give you a hint. It involves bacon, salt and pepper, sweet flavoring, more bacon, and some love! Turn them every couple of minutes or so and after about 20 minutes, you’ll have some amazing fries. This is my go-to dish. Lyssa (my taste tester and fellow French fry connoisseur) loves them, so I know they’re good!